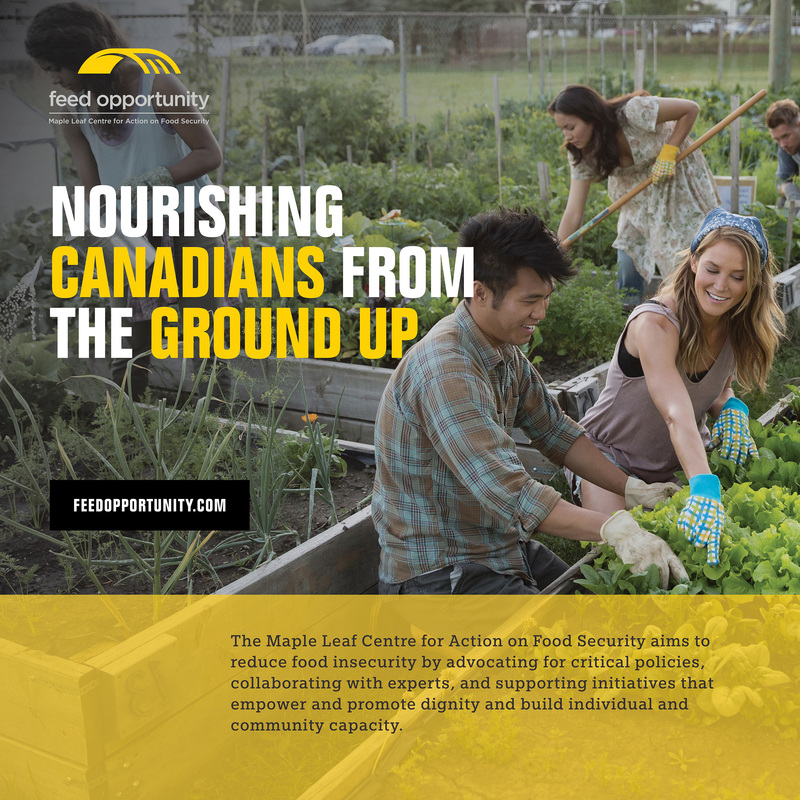 Maple Leaf Foods today announced a long-term commitment to advance sustainable food security through the launch of the Maple Leaf Centre for Action on Food Security (“the Centre”), a not-for-profit organization. The Company expects to invest over $10 million over the next five years to support the Centre’s activities, and will also make product donations exceeding $1.5 million annually. Along with the Maple Leaf commitment, President and CEO Michael McCain is making a personal pledge of $2.5 million to support an endowment fund, which will further advance the Centre’s work on food security and commitment to act on this pressing social issue. The Centre has three areas of focus: advocacy, innovation and learning. The Centre and Maple Leaf will support, engage and advocate for important policies that advance sustainable food security. The Innovation Fund will invest in innovative food security initiatives based on dignity, empowerment and skill building that can potentially be scaled to increase their impact. The Centre will share learning from its work and support networks, collaboration and research in the food security sector that builds further understanding of the issues, approaches and enables knowledge transfer. 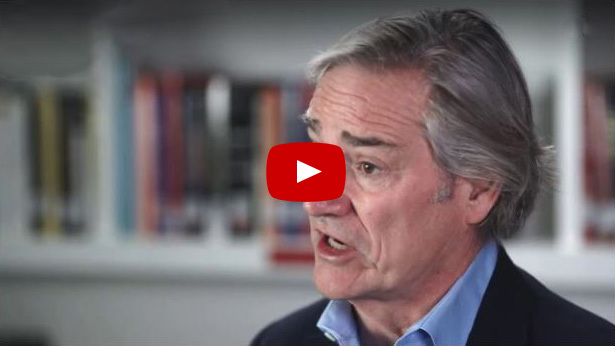 “In a country of such wealth and abundance, it is a national shame that one out of every six children and four million people in Canada face food insecurity,” said Michael H. McCain, President and CEO, Maple Leaf Foods and Honourary Chairman of the Centre. “The Centre is the culmination of several years of stakeholder engagement to understand this complex issue and where Maple Leaf should direct our resources – people, products and financial – to make the greatest difference. It reflects a significant, sustained commitment to lend our voice, to advocate for change, and to invest in innovation that results in demonstrable improvements,” McCain added. 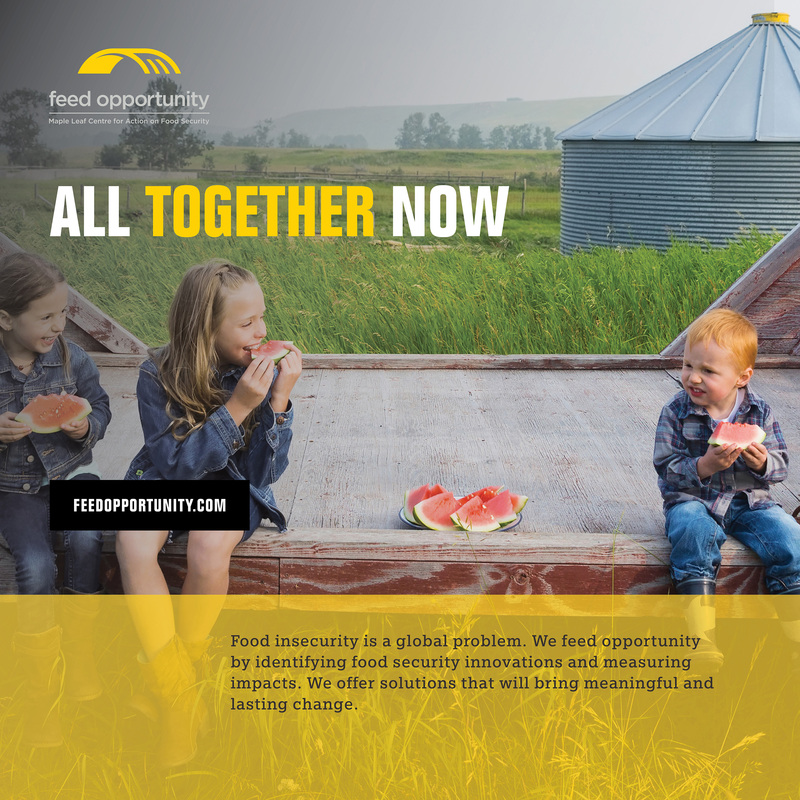 Despite the bold and innovative work of many striving to reduce food insecurity, over many years, levels of food security in Canada have persisted for the past decade and have substantially worsened in regions of country such as Nunavut, where almost half of households are food insecure. 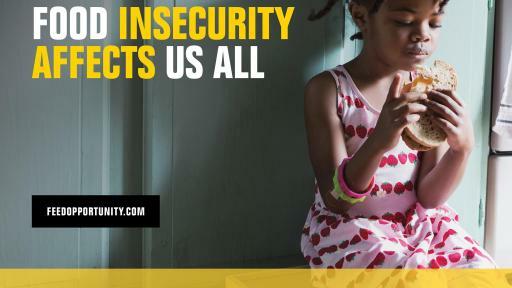 Impacting 12.5% of the Canadian population, food insecurity is a pervasive and pressing national issue. 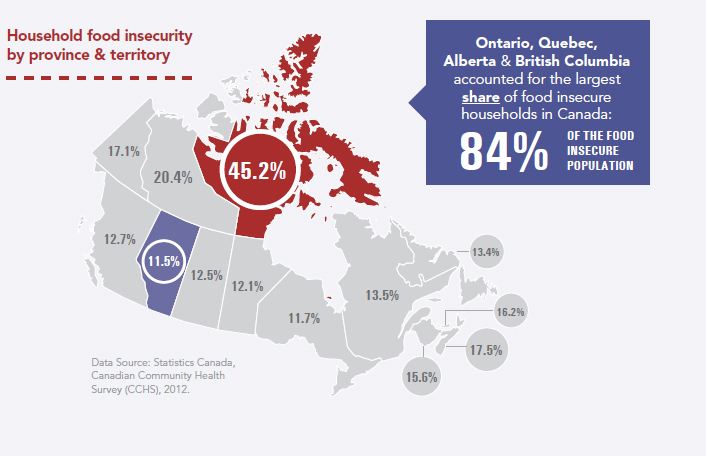 One in eight households face food insecurity and the prevalence is far greater in northern communities and among disadvantaged populations.1 Income level is by far the strongest predictor of food security. 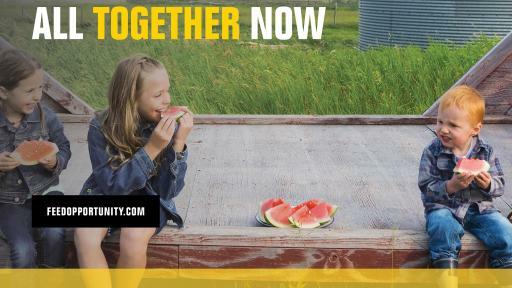 The goal of the Centre is to work collaboratively to reduce food insecurity in Canada by 50% by 2030. While the reasons for food insecurity are complex, including geography, health and mobility, the single greatest factor is income. 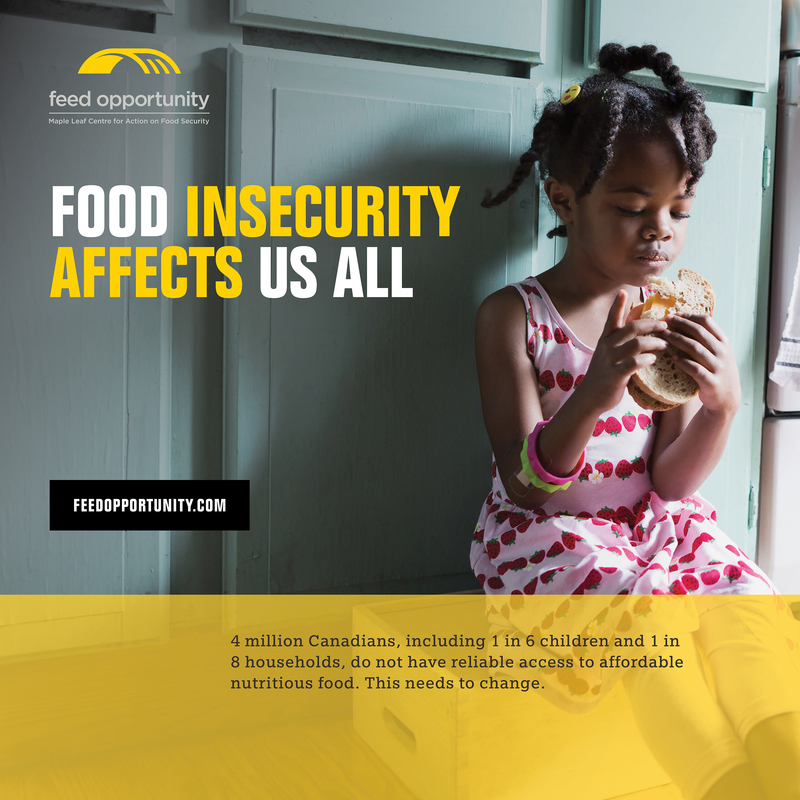 Of the estimated four million Canadians who do not have stable access to affordable, nutritious and culturally appropriate food, the majority are concentrated in the lowest income groups and are the most vulnerable in our society. Critical advances will include the commitment of the federal government to develop a national food strategy which encompasses food security. Innovation and community-based solutions also have an important role. This chronic social issue needs to be tackled with heightened urgency and recognition of the intersection of poverty, nutrition, culture, community and individual empowerment to improve food security. “The Centre will support the extraordinary work of many Canadians who are bringing innovation, research and community engagement to advancing progress and social justice,” said Lynda Kuhn, Senior Vice President, Sustainability and Public Affairs, Maple Leaf Foods and Chairperson of the Centre. “We are passionate about breaking the silence and stigma associated with food insecurity, advancing sustainable solutions and advocating for important public policy changes,” she added. 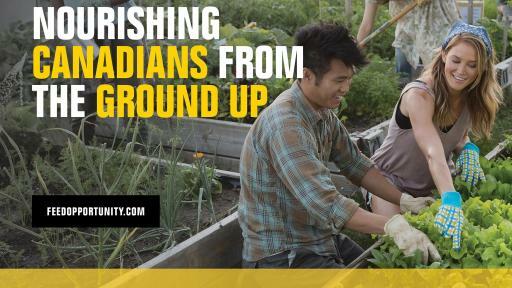 In 2016, the Centre is supporting the following community-based projects through the Innovation Fund including the McQuesten Urban Farm in Hamilton, the Greater Vancouver Food Bank – Community Food Hubs, and FoodShare, to support the implementation and evaluation of Good Food Markets in Toronto. To increase public awareness of the issue of food insecurity in Canada, the Centre has launched a consumer social media awareness campaign entitled “4,000,000 Canadians”. 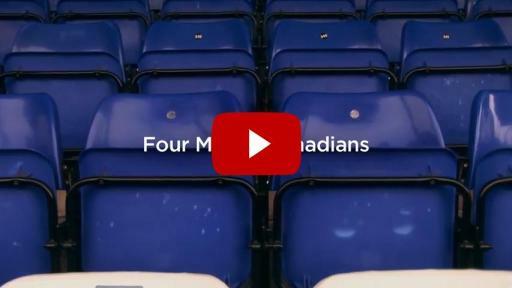 The campaign features a short video, accessible on the Centre’s website and through social media platforms including Facebook.com/FeedOpportunity, Twitter.com/FeedOpportunity and YouTube. Please visit www.FeedOpportunity.com for more information about the Centre, its programs and materials on food security. Tarasuk, V, Mitchell, A, Dachner, N. (2016). 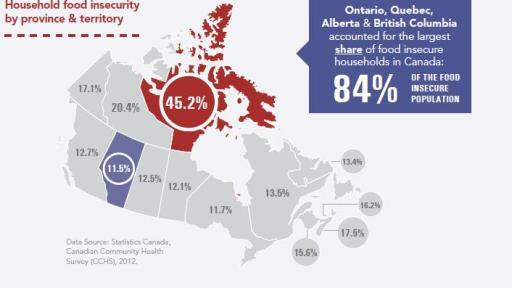 Household food insecurity in Canada, 2014. Toronto: Research to identify policy options to reduce food insecurity (PROOF). AskingCanadians online survey, EN and FR, n=1,500 Canadian adults 18-69 years (excluding territories); Nov 25-30, 2016. Tarasuk V, Cheng J, de Oliveira C, Dachner N, Gundersen C, Kurdyak P. Association between household food insecurity and annual health care costs. CMAJ. 2015 Oct 6;187(14):E429-36. doi: 10.1503/cmaj.150234. Epub 2015 Aug 10. Maple Leaf Foods Inc. is a leading Canadian consumer protein company, making high quality, innovative products under national brands including Maple Leaf®, Maple Leaf Prime®, Maple Leaf Natural Selections®, Schneiders®, Schneiders Country Naturals® and Mina™. The Company employs approximately 11,000 people across Canada and exports to global markets, including the U.S. and Asia. The Company is headquartered in Mississauga, Ontario and its shares trade on the Toronto Stock Exchange (MFI). Public Relations Director, Maple Leaf Foods Inc. Vice-President, Communication & Public Affairs, Maple Leaf Foods Inc.